Can I use the skill Channel Spell with Cantrips? You may channel a spell with the Channel Spell skill. Cantrips can be channeled via the Channel Spell skill at a rate the same as a rank 1 spell. Can Skills be used together? Special Attacks can’t be combined. Any Skill that increase damage can be used together in accordance with the skill descriptions. Certain Skills mention what they can be combined with. Can my character use crafting skills during my NPC shift? Your character may not craft during an NPC shift, that is unless you are doing an extra shift when asked by the game staff. This can happen due to a mod running late or someone specifically asking you to play a special role. If you have any questions, please ask the game staff at the start of your extra shift if you would like to do crafting. How many characters can I have at once? 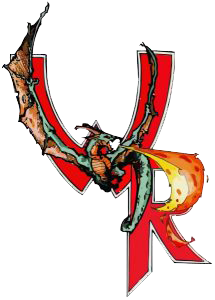 Having more than 1 character is possible in Wyvern Rising. Thanks to our new database, the number of characters you can have is now increased. You can have 1 of each race before you have to retire a character. That means you can have up to 10 characters at a single time. Though you can still only play 1 per event unless one of them permanently is dead. If I have a skill from an Elite Path can I teach it? You can’t use the skill Teach or Psychotransfer skills that are on an elite path unless they are part of a normal sphere. Outside of combat situations can I cut of limbs etc, or does it require a skill? You can take off the limbs or head of things while out of combat with the skill Dissect to be used in things like Rites, Rituals, Alchemy, or Smithing among other things. If you wish to remove something like the head or arm of a monster just for a trophy, a 10 count of “cutting limb 1, cutting limb 2…. “ needs to be performed. Some monsters or people may be resistant to this effect. At this point, a Staff Member or Director needs to be consulted to perform the act. What happens if I have multiple Damage Types (Fire, Ice, Silver etc) at the same time from abilities? When calling damage, the last buff or Skill used is the Damage Type that you call. For example, you can cast Flame Blade on your silver 1 hand blade for +1 Fire for 3 Fire total, but if while Flame Blade is active you use Divine Strike, the single strike would do 4 Divine damage. You would then go back to swinging 3 Fire for the rest of the duration on the Flame Blade buff, then swing 2 Silver after the buff runs out. If you have a skill that does body damage, you may call a damage type and body, for example, Divine Body or Fire Body.